Eid-ul-Fitr is a festival that is enjoyed by the musilm community. 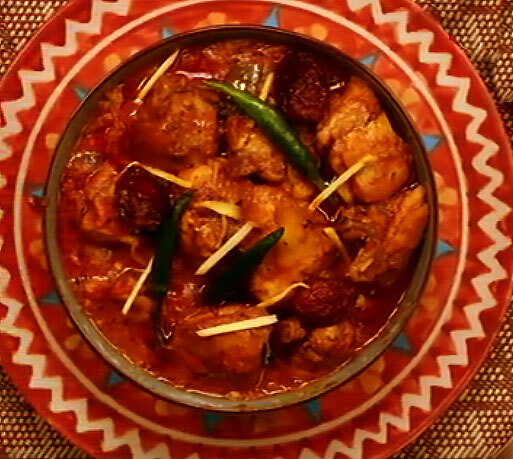 The cuisine is as much an integral part of Eid-ul-Fitr celebrations as the myriad rituals and customs. 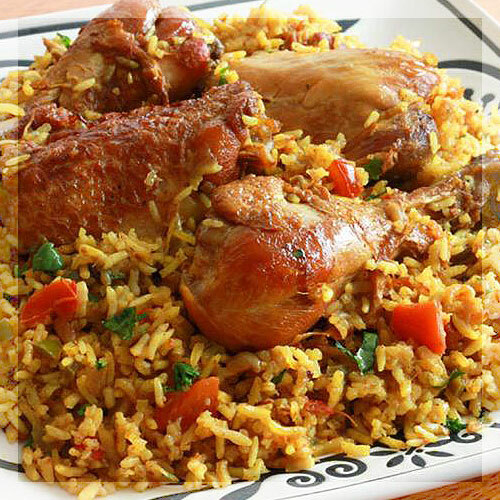 The Muslims cook absolutely marvelous dishes and distributes them among friends, families and relatives to add up to the fun and entertainment. 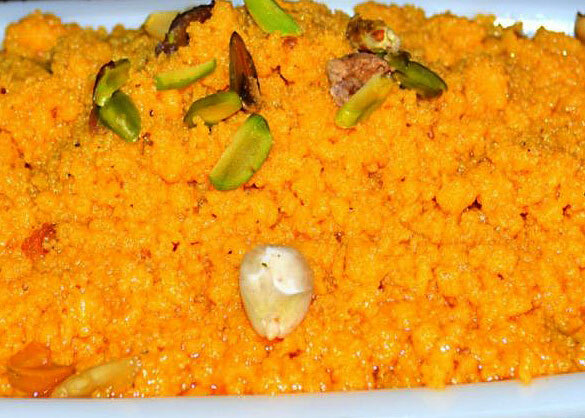 Here we have tried to provide you with some delectable Islamic dishes and Eid recipes that are specially made on the festival of Eid and can be easily cooked. These dishes can be prepared on any special occasion and can be enjoyed with the taste that will truly force you to take back memories of the occasion. Scroll down, take your pick, and cook one of the eid recipes from below. Heat oil in a pan. Add cumin seeds and let them crackle. Put in yogurt and meat and let it simmer till meat becomes tender. Put in salt, kalonji, chili, and turmeric powder. Cook for sometime on high flame. 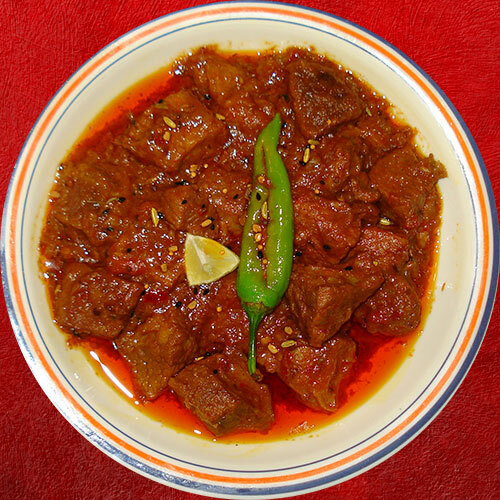 Serve hot with rice or paratha. Grind almonds with enough water to form a thick paste and keep aside. Heat oil in a heavy saucepan. Add cinnamon, cloves, cardamom and fry for 1 minute. Add onion and stir fry till soft, stirring occasionally. Mix in garlic and ginger and fry for 3 minutes, stirring frequently. Mix in lamb cubes and fry until brown for about 5 minutes. Whip yogurt, saffron mixture, salt and chili powder and mix in to lamb cubes. Stir fry for 5 minutes. Add the almond paste, and whole chilies to lamb cubes; stir well to coat the lamb pieces evenly with the gravy. Simmer (boil slowly at low temperature) for 5 minutes over low heat. 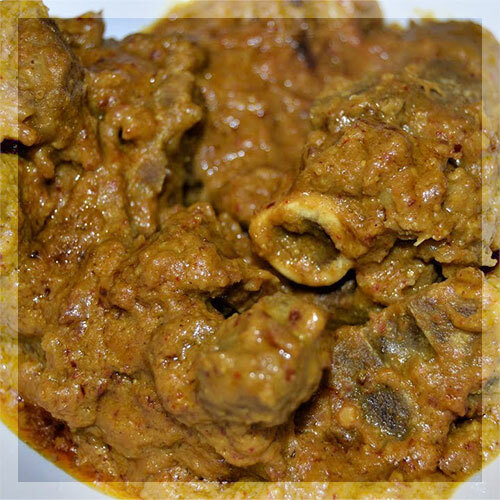 Mix in coconut milk, lower the flame, cover and simmer (boil slowly at low temperature) for 35-40 minutes or until lamb is cooked thoroughly. Uncover the pan, and cook for the last 10 minutes and transfer to a slightly heated up dish and serve hot. Heat about 2 tbsp oil in a deep frying pan and fry the onion and garlic for 2 minutes over high flame. Mix in the chicken, turmeric, chili powder and salt. Fry gently for 5-10 minutes or until golden brown. 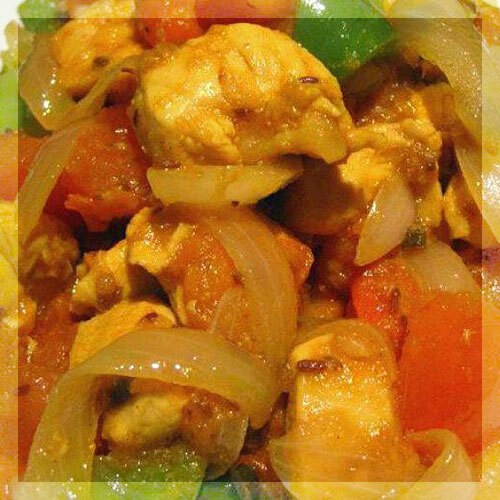 Mix in the tomatoes, cover and cook over medium heat up for 20 minutes stirring at regular intervals. Uncover and simmer (boil slowly at low temperature) for 10 minutes to let all the excess liquid evaporate and to thicken the sauce. 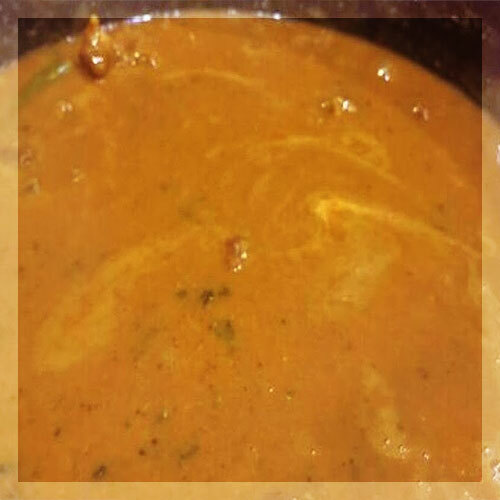 Mix in the ghee or oil, cumin powder, coriander powder, ginger and fresh coriander and simmer (boil slowly at low temperature) for 5-7 minutes or until the fat separates out from the thick sauce. Serve the chicken pieces with the sauce. Cut chicken into 1" pieces. Put in a round dish with the lemon juice, salt, black pepper and soya sauce. Mix well, cover and leave to marinate for 2-3 hours. Cut the onion, capsicum, and tomatoes into small cubes. Skew chicken and vegetables closely on bamboo skewers. Heat up oil in a big size frying pan. 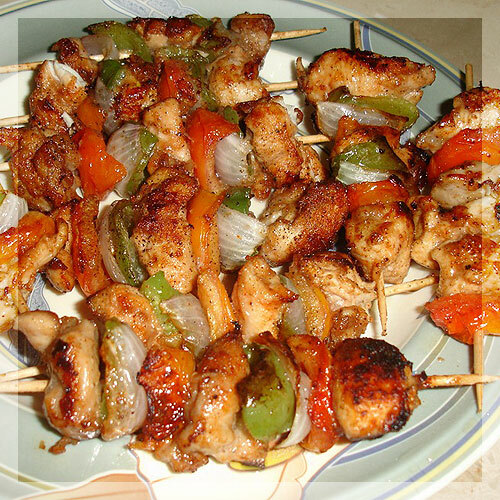 Fry skewers for 8-10 minutes or until chicken begin to change its color and the vegetables are soft. 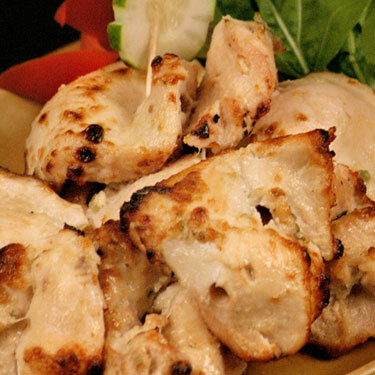 Take off from oil and put it on absorbent paper or you can grill the chicken over hot charcoal. Decorate with lemon pieces and mint leaves. Serve with hot with mint chutney. Mix bulgur and boiled water in a bowl. Cover the bowl so the steam stays within it. Set aside to cool. Place finely chopped vegetables in a separate bowl. Pour the lemon juice over the veggies. Add olive oil, salt and black pepper. Mix well. 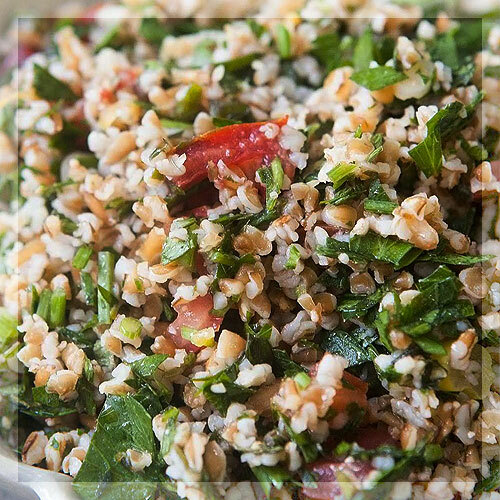 Toss the salad over the bulgur and mix well. Serve! Mix curry powder, paprika, cloves, bay leaves, black peppercorns, lemon zest, and cinnamon in a bowl. Heat oil in a frying pan. Add chopped onions and fry them until nearly golden brown, on medium heat. Add the spices in point 1 to the onions and mix well. Add chopped garlic to the onion and spices. Add tomatoes and chicken and chicken stock cubes once onions turn brown. Fry the chicken till it’s white and sealed. Add water and cook the chicken on low heat. Add salt. Once the chicken is tender, add the rice. Bring it to a boil and stir every little while for 5 minutes. Cook on simmer. Wait for the water in the rice to evaporate, and then check if the rice is cooked. If not. Add some more water to the rice until it is fully cooked. Heat vegetable oil in a large pot. Add chicken pieces and fry on medium heat until the chicken is white and sealed. Add onions and sauté them. When onions are soft, add tomato paste. Cook on medium heat for 3 minutes. Add tomatoes, spices, chicken stock cubes, celery, water, chickpeas and bring to a boil. Then bring down the flame and add lentils. 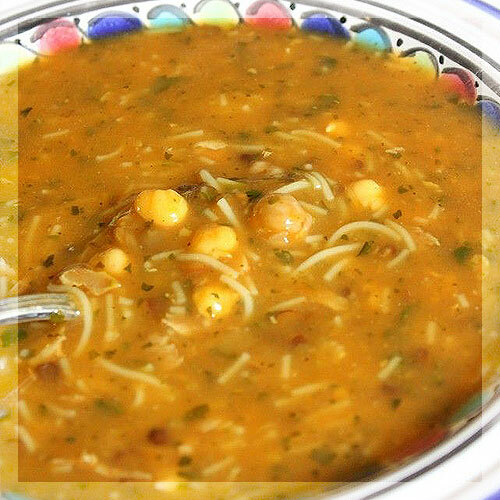 Cook until the chickpeas, chicken and lentils are tender and cooked. Take out the chicken pieces (shred the chicken and throw away the bones). Add vermicelli, and chopped coriander leaves. Cook on low flame until soft. Add the shredded chicken pieces to the broth, whisk in two beaten eggs, and pour the lemon juice over it. Fry the kibbeh in a nonstick pan. When kibbeh is cooked, add to the chicken broth. Cook for 15-20 minutes or until the broth thickens. In a pan add a tbsp of oil, to that add quartered onions and slit green chilies. Saute well for few minutes and keep aside to cool down. Then make a coarse paste of it. Grind together the dry coconut, khas khas, peanuts, cashew nuts and almonds together into a smooth paste by adding a little water. Now in a lagan, add oil and then add whole garam masala, onion-green chilli paste, sauté the onion paste till it slightly changes color. Then add garlic-ginger paste and fry it well. Next add in tomato paste and sauté till the oil separates. Now add the above made paste and sauté it. Add in salt, turmeric, red chili powder, coriander powder, cumin powder and a dash of water. Sauté it again. Add in yogurt, while doing so continue stirring so that the yogurt doesn’t cuddle. Simmer and cook till the oil separates. Now add the chicken pieces, sauté well for 5 minutes on a high flame and then add one cup water. Cook by covering with a lid on a low flame for 25 minutes. Finally add the garam masala powder, browned onions, coriander and cook on a extremely low flame with a lid covered on dum for 5 more minutes. Serve warm with freshly cooked rice for best taste. Mix tomato puree, yoghurt, ginger garlic paste, green chili paste, red chili powder, turmeric powder, roasted cumin powder, garam masala powder, coriander powder and salt. Take the chicken and marinade it in the same mixture. Set aside for 3-4 hours. Put oil in a pan, heat it and fry onions till they turn golden brown. Add marinated chicken and cook the entire mixture for 10 minutes. In a pressure cooker, take the rice and add three and a half cups of water. Add saffron to the milk and add to the rice. Finally, add the cardamom powder and the cooked chicken pieces. Mix all the ingredients gently, cover with the cooker lid and pressure cook until 1 whistle. 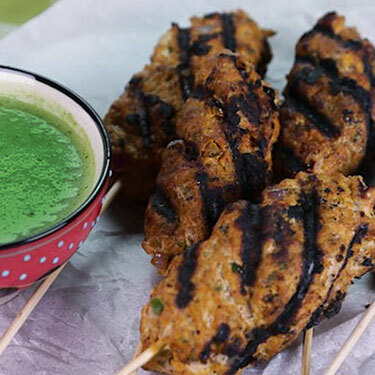 Garnish with green coriander leaves and serve hot. Heat 2 table spoons oil / ghee/ butter, fry an egg and take out. Then mash the egg and keep aside. In minced meat add 2 table spoons oil / ghee/ butter, mashed fried egg, green chili, green coriander, mint, ginger, garlic, green onion, chopped tomatoes, onion, whisked egg, corn flour and Mehran Chapli Kabab Masala. Knead well and keep aside for 30 min. 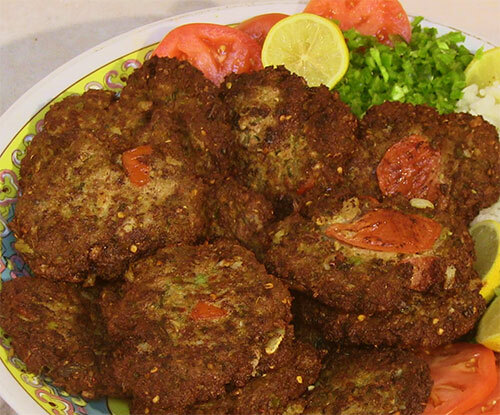 Make thin round kababs with wet hands and place a slice of tomato on each kabab. Fry kababs from both sides till they turn brown. Pour evaporated milk, condensed milk and whipped cream in a mixer. Add ground green cardamom powder & sugar. Then add sliced green pista and stir slightly. Now fill the mixture in Kulfi cones or ice cream tray. 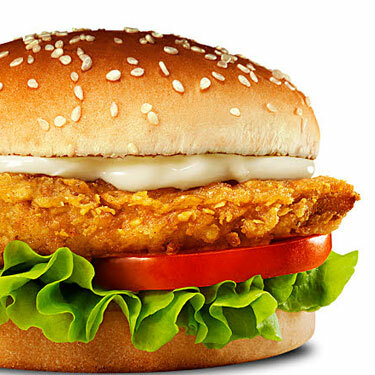 Place it in the freezer for a whole night (minimum 6 hours). At the time of serving, keep the outer surface of the ice cream tray or cones in contact with hot water for just 1-3 seconds and remove it in a plate. 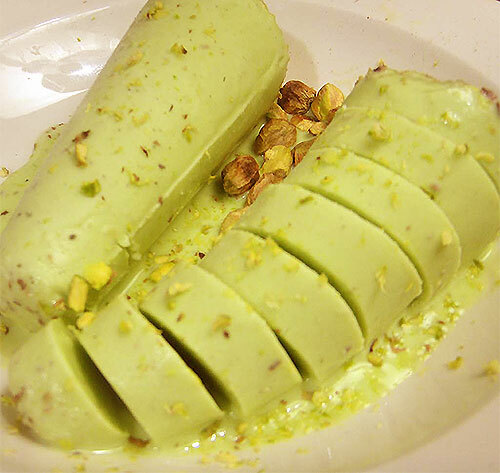 Pista Kulfi is ready to serve. Cut cake in the centre into two halves. Prepare jelly according to the instructions. Beat cream until it thickens. Peel all the fruits and cut into small pieces. Mix custard in a little milk. Boil the remaining milk and then add sugar and dissolved custard. Stir continuously until it thickens. Remove it from the flame. 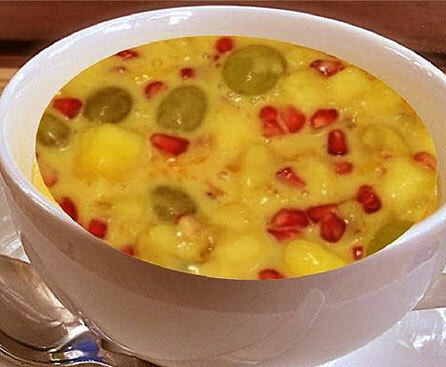 Put one cake slice in a dish and then spread some of the custard and cocktail fruits and some fresh fruits over it. Then put jelly and place another cake slice over it. Garnish with remaining custard and fruits. Spread cream on the top. Put jelly on the sides and garnish with cherries. Refrigerate it for setting and then serve chilled. Crush the cardamom pods with the side of a knife. 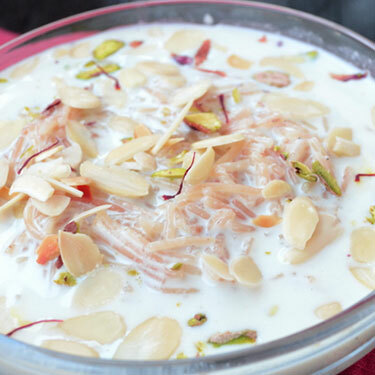 Combine the cardamom, milk, egg, sugar, shortening, semolina, and dry milk powder in a heavy bottom saucepan. Whisk well to combine, then cook on low heat, stirring occasionally until the eggs thicken. Continue cooking, stirring constantly, until the mixture browns, and the shortening begins to separate, about an hour. Remove cardamom pods and serve hot. Add sugar and cook till reduced to 4 cups. 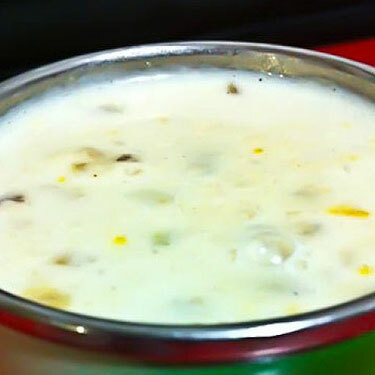 Dissolve heaped rafhan custard powder in ¼ cup of cold milk. Then add to the boiling milk, stirring till mixture. When thickes add khoya and cook for 5 minutes. 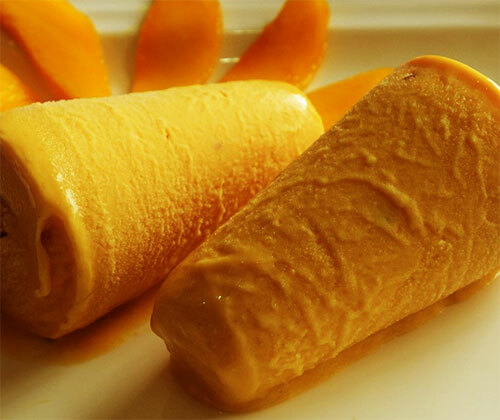 Remove from heat, cool completely then add fresh cream, cardamom powder and mango puree. Fill mixture in qulfi molds and freeze over night till firm. Fry the vermicelli in the butter until well browned but not burnt. Fry on low heat until all the butter is dried. Add in 1/4-cup sugar and fry again. Add in the whole milk cup by cup, stirring constantly, and bring to boil. Add in the raisins, whole cardamom, and 1/2 cup slivered almonds, cashews and pistachios, and the remaining sugar. 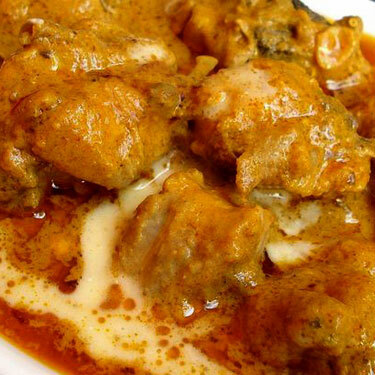 Reduce the heat and thicken the sheer korma to three-strand consistency, letting the milk boil until it is halved. The vermicelli must be very soft by now. Quickly add in the rose water, charoli and fresh cream and let simmer covered for 10 minutes. Garnish with the saffron strands and powdered cardamom, and serve immediately. Soak badams in a hot water for about an hour. Drain the water, peel off the skin of almonds and make a fine paste in a grinder using mil if necessary. 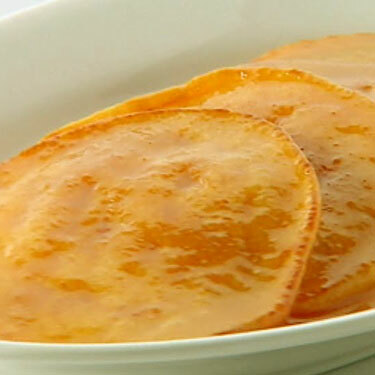 Cook badam paste for about 5 to 10 minutes in a heated pan over low flame and stir it continuously. Add sugar and keep stirring the mixture. Pour the remaining milk and boil it for about 15 minutes. 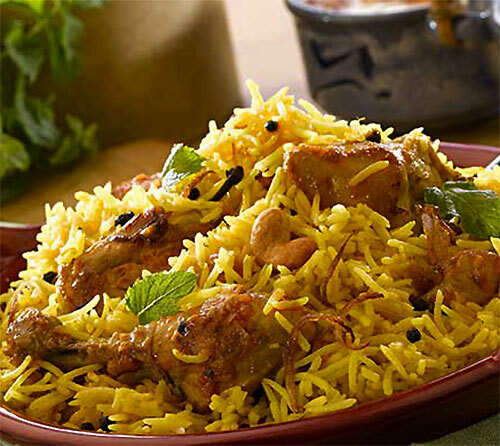 Garnish it with a few saffron strands and serve. Wash and chop the chicken into 1, ½ inch cubes. Grind the green chilies, almonds, ginger-garlic, mint and coriander leaves to a fine paste. Apply this paste to the chicken. Add the cream and mix well before adding salt to taste. Allow the chicken to marinate overnight for the best results. Thread on skewers and grill over charcoal, basting with oil or ghee. Take a bowl and prepare a mixture by adding one cup each of plain and corn flour, salt, two eggs and water. Stir the mixture till a thick batter takes shape. Chop 1 onion, 1 tomato, 1/4 coriander leaves, 2 green chilies, 300g chicken mince, salt and 1/2tsp black pepper powder together in a food processor. Once the mixture is smooth, have the meat divided in equal parts and shape them in small round kebabs form. Coat each kebab in the plain flour. Deep fry the kebabs in an oil smeared pan. Grind ½ tsp mustard seeds, 2 curry leaves, 3 green chilies, 3 boiled red chilies, 1/2 cup orange juice, 1/4tsp turmeric, coriander leaves, salt to button and water together to prepare banana green chili chutney. Once the mixture assumes a uniform consistency, put 3 peeled bananas in it. Pour the preparation in a wok and fry in oil. Serve the kebab with chutney. Firstly, pre heat the outdoor grill at about medium heat and lightly oil the grate. In a pan, spray some cooking oil and put it to medium heat. Add onion and garlic and sauté the mixture until it turns golden yellow. Add the bell pepper, mushrooms, tomatoes and carrots. Set aside and allow all vegetables to cool completely. Now, in a large bowl, combine chicken and vegetables. Add the egg, bread crumbs and seasonings to taste. Mix all together well and form into patties. Put the patties onto the grate and grill for about 5 to 6 minutes per side. Roast the buns on their inner side and put one patty on each of the bun base. Toss it up with onion slices and serve!! 1 tbsp butter or ghee. 6 chopped cloves of garlic. The legs have to be charred over coals to remove the fur, and then clean them well before use. In a pressure cooker put Kouraine, oil, spices, garlic, butter and mix then add water and cover the cooker. Let cook for an hour and 15 minutes, then open the cooker and add soaked chickpeas. 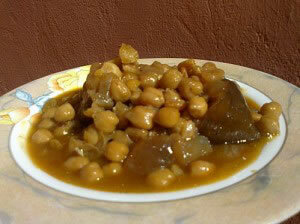 Cover the cooker again and let cook for 45 minutes or more until Kouraine and chickpeas are well cooked. Open the cooker and let it over low heat until the sauce is thick. In a plate serve the dish with some hot peppers and bread. Boil the milk till it reduces to ½ its quantity. Roast the rava till light brown. Add the roasted rava to the milk, along with maida. There should be no lumps. It should be a smooth pouring consistency. Take the batter in a glass. Pour in circular movements into the ghee, to form a small pancake. Cook for a few seconds and then turn over. Take care that the pancake doesn’t become a crisp and hard. Make sugar syrup of 1 thread consistency. Dip the malpuas in the syrup and lay out on a plate. Heat the ghee in a large cooking pan iver moderate heat. Fry the onion with slat until it turns light brown. Pour the ginger, garlic, cardamoms and cinnamon sticks into the pan. Fry until the onions are golden brown. Add the chunks of chicken and cook it. Stir it for about 15 minutes. In a small bowl, thoroughly mix the eggs, sugar, ground almonds and cream. Lower the heat. Pour the egg and cream mixture into the cooking pan. Simmer for 5-7 minutes till the chicken is cooked and tender. Do not overcook. Garnish with flaked almonds and serve hot. ½ tsp ground coriander seeds. 3 chopped cloves of garlic. In a bowl mix spices, oil, juice and onion. Cut slits randomly into top and sides of the rib. 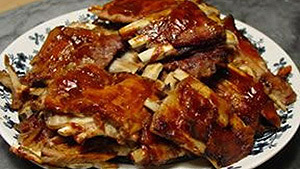 Rub the surface and inside of the rib with the mixture of the spices and let them marinate for an hour or more. Put enough water in the pot and place it over high heat until boiling. Take the rib from the steamer and grease the surface with butter and grill it in the oven until it becomes golden brown. Serve it in a plate with salads and bread! 1.Heat oven to 220C/200C fan/gas 7. Put the peppers, sweet potato, courgettes and onion on a large baking tray and drizzle over the oil. Season with lots of ground black pepper. Roast for 25 mins. Meanwhile, trim the lamb of as much fat as possible. Mix the herbs with a few twists of ground black pepper and pat all over the lamb. Take the vegetables out of the oven, turn over and push to one side of the tray. Place the cutlets on the hot tray and return to the oven for 10 mins. 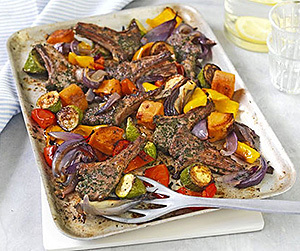 Turn the cutlets and cook for a further 10 mins or until the vegetables and lamb are tender and lightly charred. Mix everything on the tray and serve.